Denis Joseph Ryan was born in Tawa Flat on the 10th May 1880 the youngest of five sons, in a family of nine, born to Martha and Denis Ryan. The Ryan family were farming at Tawa Flat, Manawatu Line. Paremata. Joe was also a volunteer from the Heretaunga Mounted Rifles. band, and escorted the invalided trooper to the local hall. ville School Cadets, and marched to the Tawa schoolhouse. parts of the district, Mr. Geo. Thompson acting as marshal. contracted from exposure and hardships undergone while in South Africa. to be given a military funeral on Thursday afternoon. procession was three-quarters of a mile long. reversed, and the Heretaunga Mounted Rifles. 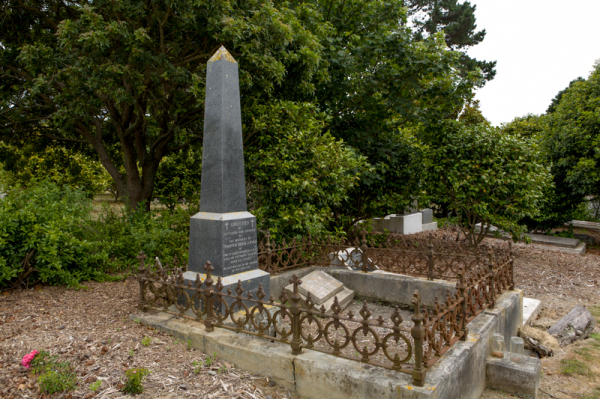 Denis Joseph Ryan was buried in the Porirua Cemetery and local settlers and friends contributed to rasie an inscribed column with a inscribed column over the grave. 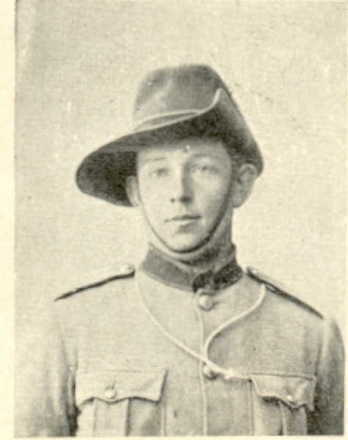 Denis’s elder brother Thomas Francis Ryan served , with the 8th Contingent, in South Africa. 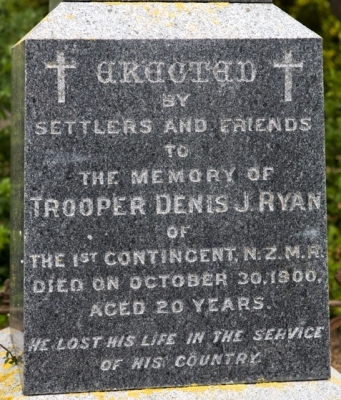 There are two spellings used in material, Denis or Dennis but this article uses the spelling on his grave. Diabetes Mellitus is a chronic condition lifelong condition that affects the body’s ability to great energy from food.